You NEED to have one person (or more if you are lucky!) that is truly dedicated to maintaining and advocating for your garden. That is me at our school. You then need your administration and your maintenance crew on board as well. Our garden has changed from its original state due to the garden beds being too hard to mow around...the herbs were placed in metal cans which can be unsafe (but we wanted to contain them so that they didn't get out of control...they can do that you know) We as a team, find ways to make sure that our district policies are being followed and yet still hold true to what our vision is. You need your administration to be on board and part of your team. Whether that is support of your plan, seeing academic benefits, or getting down and dirty along with the kids as they learn how to garden, you truly cannot do it without them on your team! You will need to find funding, grants, and donations. 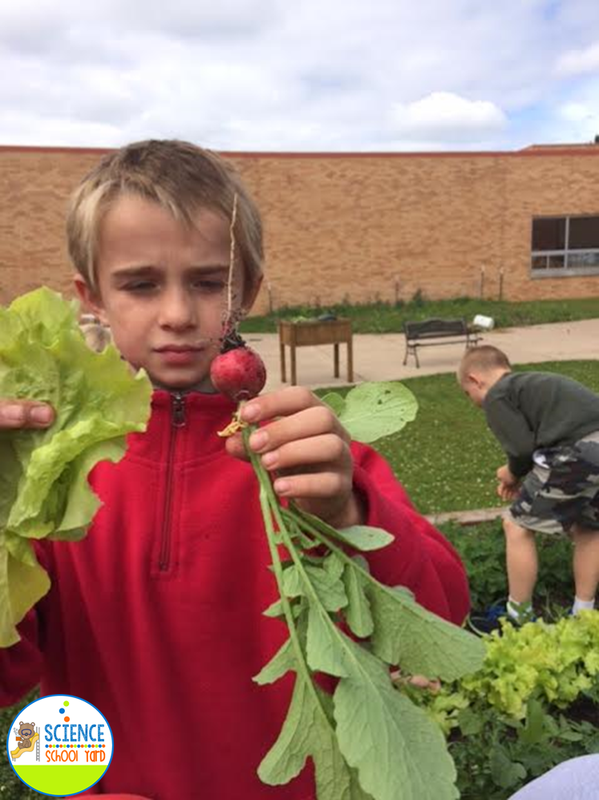 Each year, I have been able to find "free" money that helps support our school garden. Whether it be the Anthem Watch Us Sprout Grant which provided us this year with soil, books, hundreds of free seeds to distribute to our families and students, as well as amazing banners that we display in our lunchroom that supports healthy eating habits! Find a local greenhouse that might be willing to donate. If you have a composting business close by, call them to see if they can give a deal to a local school garden. People LOVE the idea of kids growing and may be excited enough to donate or give a product at a reduced price! Kindergartners plant a kinder"garden" which is pumpkins, zucchini, and gourds. First Graders plant flowers to learn about insect pollination. Sunflowers are great to grow as well as daffodils. 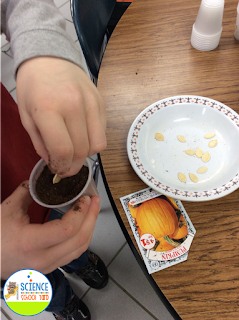 Second Graders plant potatoes and then gold mine for them in fall to tie in Social Studies and the Westward Movement as well as lettuce, spinach, kale, and peas. We use the FOSS Plant unit to start us off, but then I deviate. Third Graders plant an egg roll and coleslaw garden. We plant cabbage which is sponsored by Bonnie Plants (free cabbage plants for the annual cabbage contest. Find the Link here: http://bonniecabbageprogram.com/ ) We also plant carrots for our coleslaw and egg rolls! Fourth Graders plant the Three Sisters Garden which ties in native american history. That includes Beans, squash, and corn. Fifth Graders plant a victory garden as they learn about WWII. They plant kohlrabi, tomatoes, peppers, and anything else we want to stick in the ground. 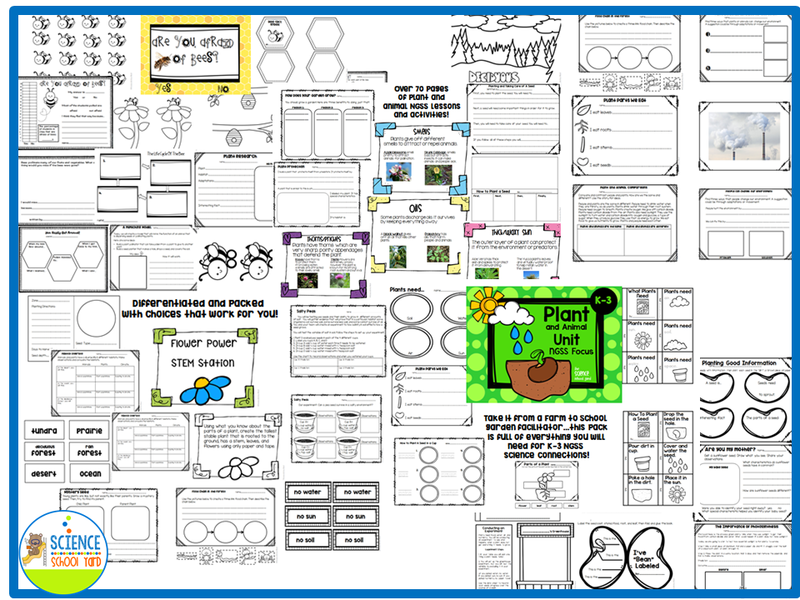 -interested teachers can work together to grow a school garden, it can be part of an after school program, or even a summer school class. Just do it. I cannot tell you how many people I talk to that want to start a school garden and then just sit and wait for everything to fall in place just perfectly....nothing is ever perfect. We learned from our mistakes, changed them as we went, and continue to learn as we go! -Americorp volunteers. They always need hours. -United Way. If they weed and pick ...they can keep some of the harvest. -Parent and Family volunteers. I used Remind 101 after a digital sign up link went into our school newsletter. It is sometimes hard for them to remember to I send a reminder with this app. -I use my summer school program to tie gardening into the STEM based curriculum that I developed. We use STEM Little Red Hen to teach teamwork and hard work come first before the reward. We then weed and then eat! -I have an underground irrigation system that I wrote a grant for...so watering is not an issue for me, however utilize your helpers, custodians, school programs that can help with this chore. This week, I will be sharing more tips, epic fails you can learn from, as well as celebrations! I will always say...a seed is magic. You just have to get "growing" to find that out! This pack has been worked on for over three years. I now use this pack for my kindergarten though third graders. 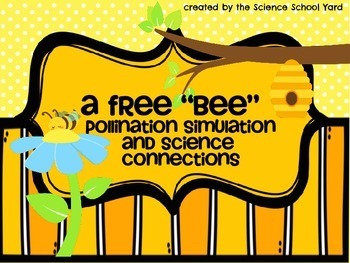 Here is a link to a free portion of this pack...Let's just call it a "FREEBEE"! FREE-BEE For You Found HERE! Awesome work that seems pretty interesting and help us to maintain the gardens at our school. Thank you very much for sharing it.